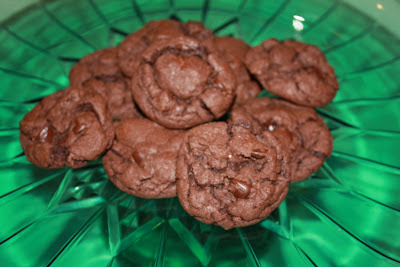 We make these cookies all the time! Fast, easy, and good. You can use any cake mix flavor, the chocolate and spice cake mix is good with nuts mixed in. Or try white cake mix with chocolate chips or sprinkles on top. Mix all ingredients together. Drop by tablespoonfuls onto ungreased baking pan. Bake at 350 for 8-9 minutes. Yield: About 3 dozen cookies.